Valley Forge National Historical Park, located 2.5 miles from your Canvas Valley Forge apartment, offers the chance to walk back in time to the Revolutionary War. This spring, visitors won’t just be walking—they’ll be running! The annual Valley Forge Revolutionary Run returns to the park April 22. Hundreds of people have participated in the event in the last 12 years, all with the goal of raising funds for the park’s visitors programs. In 2017, the run generated a record-breaking $54,000. Money raised by the run goes to support the park’s informational kiosks, storytelling benches—where visitors can stop during the summer months to hear Revolutionary War stories told by reenactors—upkeep on the Sullivan’s Bridge and development of new trail projects, among other initiatives. Runners will pass by many of these spots along the route. The event features five miles of varying terrains, so it’s best suited for experienced runners. 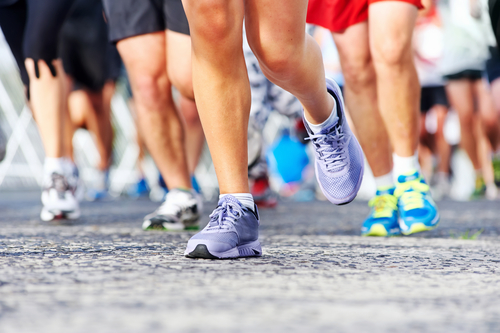 Those who still want to support the effort but may not be up for a lengthy run can instead opt to participate in the three-mile walk portion of the event. Walkers will head through the Joseph Plumb Martin Trail and can take the course at their own leisurely pace. Last year, more than 200 walkers turned out for the event. Pets and strollers are also welcomed, so bring all members of the family! Walkers who pre-register by April 3 will receive a commemorative T-shirt. Walkers and runners of all ages and abilities typically turn out for the event. Even for the race, participants are encouraged to go at their own speed, so it’s a no-pressure, laidback event, designed to bring together locals to support a site that gives back to our community every day. It’s important to note that participants cannot register for either the run or walk the day of the event. Pre-registration fees range from $20-$40.